Pure aluminum is soft and, therefore, may not be ideal for building strong structures. For this application, mineral elements must be added to pure aluminum to make it stronger. These additional elements not only improve the hardness of aluminum metal but also improve its corrosion resistance. In addition, aluminum alloys that are heat-treated are stronger because of the aluminum precipitation hardening process, though the degree of hardness is different due to the addition of varied types of mineral elements. An aluminum hardness classification of 2024-T351 is one of the hardest aluminum alloys, widely used in the metal industry. This alloy has good formability but poor strength when it is heated; due to this drawback, it cannot be used for welding purposes. Even though it is the hardest of all the aluminum alloys, it wears out naturally and under stress, just like other classes of aluminum. Some of the elements added to this alloy are manganese, magnesium and copper. The 2024-T51 hardness classification is used in applications, including riveting and airplane construction. An aluminum hardness classification of 6061-T651 has moderate strength but high weldability compared to 2024-T351. Another advantage of this type of aluminum alloy is its ability to resist corrosion. In a stable state, the alloy ages naturally and not artificially, compared to the 2024-T351 class. 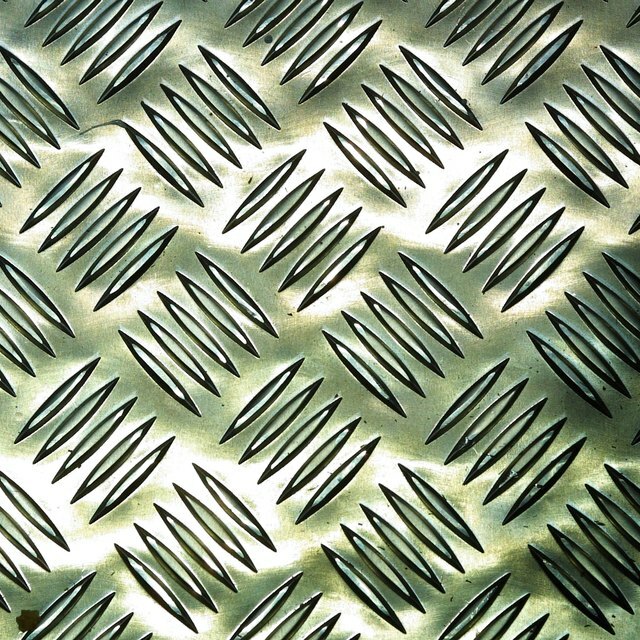 An aluminum hardness classification of 7075-T651 is strong and hard, with a similar corrosion resistance as 2024-T351. However, when it is subjected to higher temperatures, 2024-T351 proves to be stronger than 7075-T651. This alloy does exhibit excellent plane strain fracture toughness and stress; however, the alloy loses its strength and hardness properties due to continuous breakdown of the slip planes. The 7075-T651 aluminum alloy should not be exposed to high temperatures, which results in oxidation of its elements. The aluminum 1100 alloy is relatively soft at room temperatures. In welding, it has good ductility if it is subjected to temperatures that are relatively low. This form of alloy can be used in the manufacture of tubes, plates, sheets and bars as it can be easily welded and molded due to its softness. This aluminum alloy is stronger and harder than the aluminum 6061-T651 class. But both types have similar strength and hardness if they are subjected to room temperature. On the other hand, the welding strength of 7005 alloy is higher than that of 6061-T651 if they are both subjected to the same temperature. John Derrick has been writing since 2004. His work has been published in "Thames Leisure Week," "Legalease," "Canary Wharf" and "City Life." Derrick holds a Master of Arts in literature from the University of London. Derrick, John. "Aluminum Hardness Classification." Sciencing, https://sciencing.com/info-10009615-aluminum-hardness-classification.html. 09 January 2018.